Puerto Rico Gov. Ricardo Rossello said today he briefed Vice President Mike Pence yesterday on the recovery efforts in Puerto Rico and underscored the need for urgent, ongoing support following the devastation from Hurricane Maria. In a news conference today in San Juan, Rossello noted -- as Pence said yesterday during a visit to the island -- that President Donald J. Trump's administration is committed to the immediate and long-term needs of Puerto Rico. 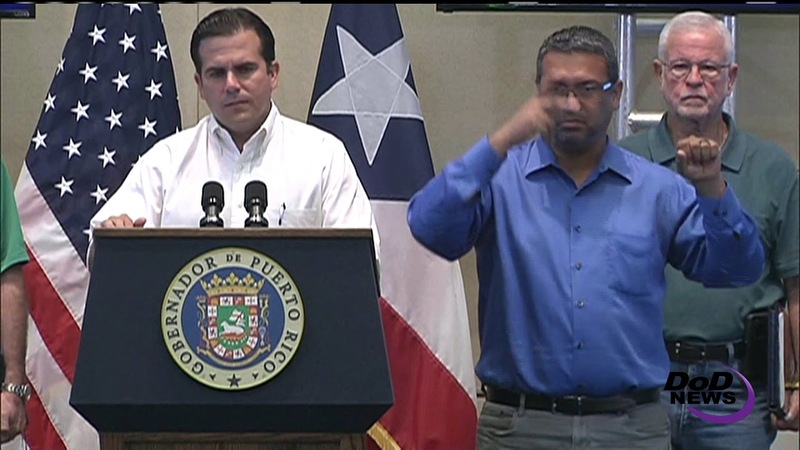 "The vice president has a deep understanding that although a lot of the efforts are going on, there is still a lot to be done here in Puerto Rico," Rossello said. The governor commended Pence for visiting the island. "We're grateful for his leadership, for his faith in the efforts that we are doing and of course his continued support for the people of Puerto Rico," he said. 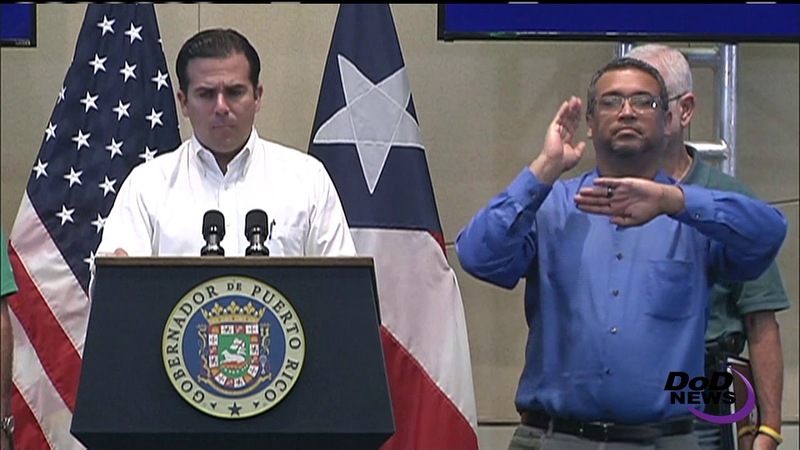 The governor said he will reiterate to a congressional delegation visiting Puerto Rico today the need for urgent action, due to the magnitude of the challenges. Puerto Rico officials continue to work closely with the Defense Department and the Federal Emergency Management Agency, as well as with Emergency Management Assistance Compact partners, he noted. "We have 12,300 DoD personnel here in Puerto Rico, more than 600 FEMA and more than 2,000 EMACs from 25 states in Puerto Rico serving through the emergency," he said, adding that the hospital ship USNS Comfort is serving around Puerto Rico with a capacity of about 1,000 patients. DoD is working to establish hospital capabilities that will be built in the next weeks in Humacao and Aguadilla, the governor said. Those facilities will benefit not only those areas, but also the island as a whole, he pointed out. The governor said 56 percent of the island has access to drinking water, with more than 700,000 clients with service. However, he added, the percentage is less than 50 in the island's northern and northwestern areas. "So our focus will be on those areas both on generators and on getting bottled water and [water stations] to those sites," he said.